Simply put start by eating more and training heavier so you can gain muscle weight. You could be hard gainer, an athlete looking to get into a new weight class, or simply desire a larger physique. In order to gain quality mass, the nutrients intake has to be of a high quality in nature. The best way to gain weight is through a planned and controlled increase in macronutrient intake. By ensuring that the quality of the nutrients is high (such as low glycemic index carbohydrates, high quality fats and low fat proteins) muscle weight gain is accomplished and fat weight is reduced. Bulking cycles can be tricky when it comes to your diet. The diet needs to be done in a certain way otherwise; you end up gaining way too much body fat. Thus having a surplus in weight, which will eventually need to be reduced. There are some tricks that can be followed to optimize muscle gains and add the proper amount of mass to reach your desired goal. Bulking up does not consist of eating everything you can get your hands on and lifting as heavy as possible hoping that all of the increased weight gain will come in the form of muscles. This lack of a plan strategy will lead to an excess of fat gain. Most of the weight that you will gain will be in the form of muscle, however some of it will be in the form of fat. The reason for this is that when you have a caloric surplus (your body has a higher caloric intake then it can use) some of those calories are stored as body fat. However, to optimize your bulking cycle, eat good foods, train hard and by starting from a low percentage of body fat, you will minimize the fat gains and maximize the muscle mass gain. Its best to increase your protein intake to 1.5 grams of protein per pound bodyweight, so if you weigh 200lbs, then you need to eat around 300 grams of protein per day. Some people feel lethargic if they eat more than 40 grams of protein in at once and have issues with digestion. Therefore, you can divide 300 by 40 and that will give you the amount of meals that you need to eat per day. SO to continue with the 200-lb bodybuilder he will need to eat, 7-8 meals per day spaced out with a minimum of 90 minutes in between each meal and a maximum of 3 hours. Protein sources should come from lean low fat meals including chicken, turkey, 93% lean red meats, egg whites, shrimp, tuna, tilapia, and salmon. Now that your diet and work out regimen are in place correctly you can add a serious supplement that will take your body to an incredible place. It is not unusual to see gains of 10-25lbs from these supplements. Take your time and review the product descriptions, customer reviews and supplement facts. Msten Extreme Mass Builder: (No Longer Available) Great single compound product excellent for adding bulk, muscle mass and strength. This product is highly anabolic and promotes high levels of protein synthesis. Beast Plexx by Assualt Labs: (No Longer Available) This product is a 4 prohormone stack which creates sizable gains, major muscle mass and rapid results. This is for experienced users only. Ultimate Mass Builders Stack: (No Longer Available) A very strong, 3 supplement, 2 prohormone stack which creates hard large mass muscle gains. Users have also experienced serious strength gains. This stack also comes with in cycle support a must when running any ph’s. Predator Plexx: (No Longer Available) A 2 prohormone stack that will build solid muscle and strength. Spawn Stack Level 2: (No Longer Available) Remember spawn? 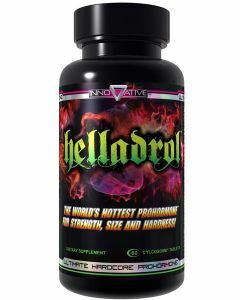 This stuff is better, 3 super strong prohormones that creates major results! This stack transforms your body adding mass, size and strength gains. All mass building products require On Cycle Liver Support during and Post Cycle therapy (PCT) afterward. For the Top 10 bulking Prohormone Rankings click here.